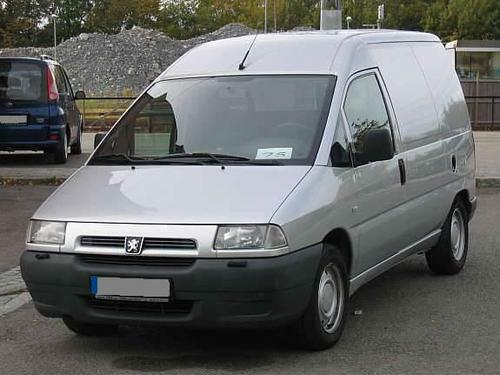 2001 PEUGEOT EXPERT SERVICE AND REPAIR MANUAL. Fixing problems in your vehicle is a do-it-approach with the Auto Repair Manuals as they contain comprehensive instructions and procedures on how to fix the problems in your ride. Also customer support over the email , and help to fix your car right the first time !!!!! 20 years experience in auto repair and body work. Auto Repair Manuals can come in handy especially when you have to do immediate repair to your car. The durability of your vehicle is unquestionable but you also know that no matter how tough they are, constant use can cause them to deteriorate. When this happens, and ultimately it will, you will have to replace them. Some car parts are very simple to mount and do not require professional help. By having a trusty repair manual you not only save money but you also get to experience the fun of do-it-yourself projects. A repair manual comes with comprehensive details regarding technical data, diagrams, a complete list of car parts and pictures. Even the most novice car mechanic can easily follow the step-by-step guides which are made simple by the illustrations and drawings. You can find a complete list of accessories that can further enhance the performance of your engine. I included couple basic screen shots from manual this is sample screen shots , just for you to see how it looks. The screen shots can be from other model of the car as they are just for you to know quality of manuals. The information contained in this repair manuals is the same as the ones used by the engineers of the company. This repair manual covers all these sections, contain hundreds of photos and more: ALSO FREE PREVIEW DOWNLOAD AVAILABLE. Engine Mechanical, Engine Coolant, Engine Control System, Emission Control Systems, Drive Shaft, Drive Belt, Differential Case Assy, Cylinder Head Assy, Cylinder Head, Cylinder Block Assy, Curtain Shield Air Bag Assy, Cooling System, Cooling Fan System, Combination Meter, Clutch Unit, Clutch System, Clutch Start Switch Assy, Clutch Release Cylinder Assy, Clutch Pedal Sub-Assy, Toyota Highlander High Lander Service Repair Maintenance Manual, , Clutch Master Cylinder Assy, Cigarette Lighter Assy, Charging System, Charcoal Canister, Chain Sub-Assy, Center Stop Lamp Assy, Center Cluster Module Switch, Manual, Toyota, Toyota service manual, Highlander service manual, download, engine, Toyota manual, manual,, Center Air Bag Sensor Assy, Camshaft Position Sensor, Camshaft, Brake System, Brake Pedal, Brake Master Cylinder, Brake Fluid, Brake Booster, Brake Actuator, Body Repair, Yaw Rate Sensor, Wiring Diagrams, Wire Harness Repair, Wiper Rubber, Wiper And Washer System, Wiper & Washer, Windshield Wiper Switch Assy, Windshield Wiper Motor Assy, Windshield Glass, Window Defogger System, , Wheel And Tire System, Water Pump Assy, Washer Nozzle, Valve Clearance, Transmission Wire, Transmission Valve Body, Transmission Revolution Sensor, Transmission Control Cable, Torque Converter Clutch, Tire & Wheel, Throttle Body Assy, Thermostat, Supplemental Restraint System, Sun Roof System, Sun Roof, Steering System, Steering Sensor, Steering Column, Highlander, Fix It Maintenance Change Specs Toyota HighLander Do It Yourself Toyota rapidshare, Starting System, Starter Switch, Starter Assy, Spiral Cable Sub-Assy, Speed Sensor Front, Skid Control Sensor, Side Turn Signal Lamp Assy, Side Mudguard, Side Air Bag Sensor Assy, Shift Lock System, Shift & Select Lever Shaft, Sfi System, Seat Position Air Bag Sensor, Seat Belt Warning System, Seat Belt, Seat, Roof Headlining, Roof Drip Side Finish Moulding, Roof Antenna Pole Sub-Assy, Receiver Condenser Assy, Rear Wiper Rubber, Rear Wiper Motor Assy, Rear Wheel Alignment, Rear Suspension System, Rear Suspension, Rear Speaker Assy, Rear Shock Absorber Assy, Rear Seat Belt, Rear Door Window Frame Moulding, Rear Door Glass Weatherstrip, Rear Door, Rear Combination Lamp Assy, Rear Coil Spring, Rear Bumper, Rear Brake, Rear Axle Hub, Rear Axle Beam, Radio Receiver Assy, Radiator Assy, Quarter Window Assy, Pulley Compressor Assy, Preparation, Power Window Control System, Power Steering Link Assy, Power Steering, Power Source, Power Mirror Control System, Power Door Lock Control System, Passenger Air Bag Assy, Partial Engine, Parkneutral Position Switch, Parking Brake Lever, Parking Brake Cable, Parking Brake, Output Shaft Assy, Outer Rear View Mirror Assy, Oil Pump, Oil Filter, Name Plate, Manual Transaxle System, Manual Transaxle Oil, Manual Transaxle Assy, Maintenance, Lubrication System, Lighting System, License Plate Lamp Assy, Knock Sensor, Introduction, Instrument Panel, Input Shaft Assy, Inner Rear View Mirror Assy, Ignition System, Horn Button Assy, Horn, Hood, Heater Radiator Assy, Heater Or Boost Ventilator Control, Heater & Air Conditioner, Google , Yahoo, Craigslist , Ebay ,Headlamp Protector Retainer, Headlamp Dimmer Switch Assy, Headlamp Assy, Generator Assy, Fuel Tank, Fuel System, Fuel Pump, Fuel Injector, Front Wheel Alignment, Front Suspension System, Front Suspension Arm, Front Suspension, Front Stabilizer Bar, Front Speaker Assy, Front Shock Absorber, Front Seat Belt, Front Seat Airbag Assy, Front Marker Lamp Assy, Front Drive Shaft, Front Door Glass Weatherstrip, Front Door, Front Differential Oil Seal, Front Bumper, Front Brake, Front Axle Hub, Floor Shift Parking Lock Cable, Floor Shift Assy, Fender Panel Mudguard, Exhaust Pipe, Exhaust, Back Door Glass, Back Door Garnish, Back Door, Automatic Transaxle Fluid, Automatic Transaxle Assy, Audio & Visual System, Antenna Cord Sub-Assy, Amplifier Antenna Assy, Air Conditioning System, Air Conditioning Blower Assy, Air Conditioning Amplifier Assy, Air Conditioner Refrigerant, Air Bag Sensor Rear, Air Bag Sensor Front. This file is sold by carmanuals4uuk, an independent seller on Tradebit.